Have you been looking for a unique touch for your wedding or next event, look no further! 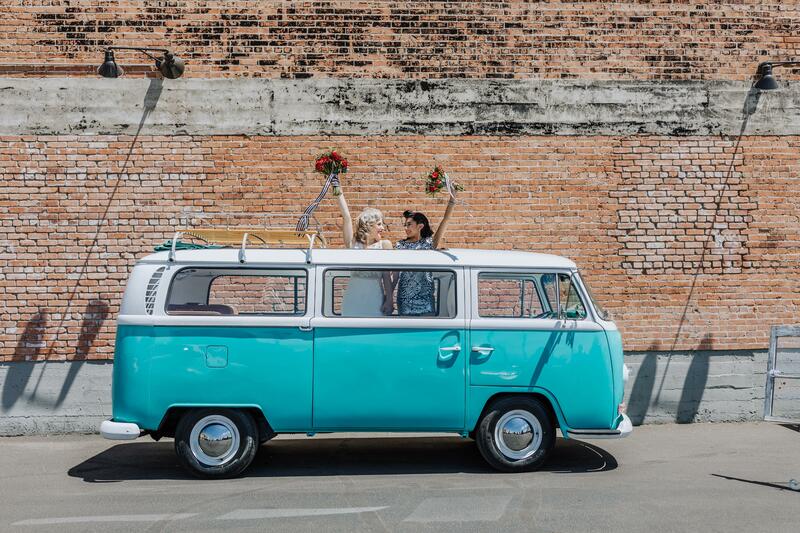 Our newest Photo Booth is a beautiful 1969 white over teal Volkswagen Bus. With a ragtop that pulls back nearly the length of the bus. It's perfect for taking those fun, silly photos while enjoying Arizona's beautiful night sky. It’s been remodeled with matching interior and gorgeous wooden floors and inside it's loaded with top of the line photo booth equipment and premium backdrops. Not only does the photo booth print the photos instantly, you can also share your photos and GIFs to social media, phone, and email.